When she moved into a subdivision constructed by Willamette West Habitat for Humanity, the dream of owning a house became reality for Awetash Tsegay, mother of Nathaniel, 16, and Bethlehem, 14, originally from Ethiopia. Dedicated to fostering home ownership by building affordable housing, Habitat works with low-income families, volunteers and donors to sell homes at cost to qualifying residents like Awetash. After making a modest down payment and contributing 500 hours of construction “sweat equity,” Awetash purchased her three-bedroom house at 0 percent interest with a monthly payment structured to match her income. 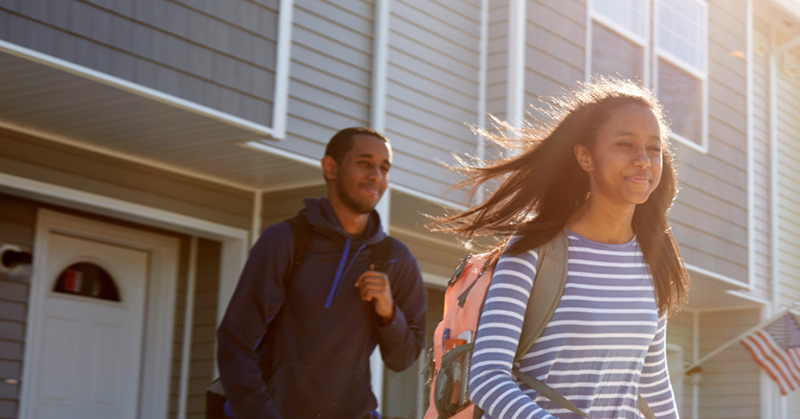 She doesn’t worry about high energy bills because Habitat worked with Energy Trust to make sure her home has a low EPS™, an energy performance score that indicates low energy consumption, utility costs and carbon footprint. Scores range from most efficient at zero to least efficient at 200. Thanks to design features like energy-efficient windows, lighting, insulation and a heat pump, Awetash’s home has an EPS of only 32, and average monthly gas and electricity costs of $62, well below what is typical for an 1,100-square-foot house. Learn more about how more customers like Awetash benefited from energy-efficient upgrades in our 2015 Annual Report.